Hope you all had a good weekend. 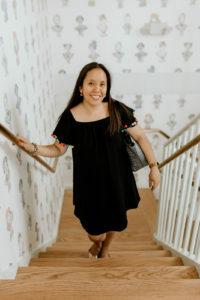 I sure did, as I spent my weekend in Dallas celebrating a dear friend’s daughter-to-be come this October by co-hosting her baby shower, eating lots of good food, and seeing friends and family! Christina and my Saturday began early (I stayed with Christina and Aaron for the weekend) as we had several baby shower errands to run. 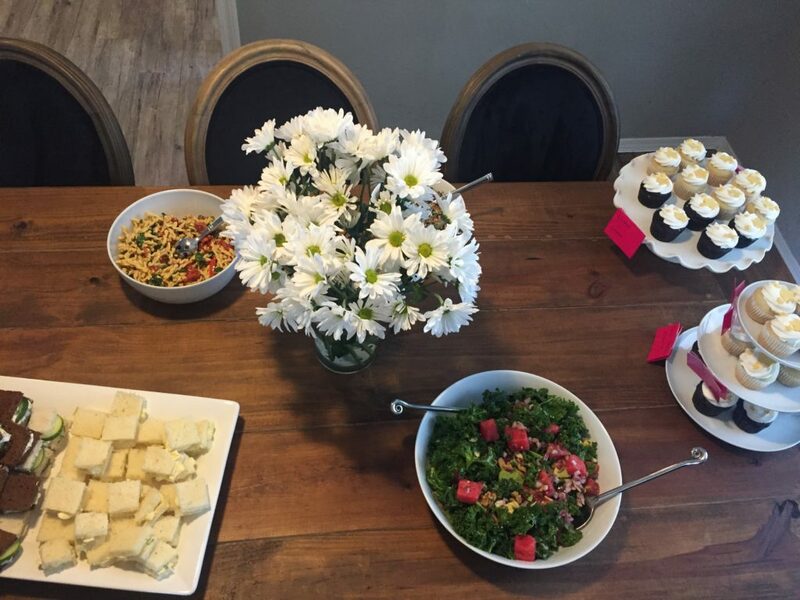 We picked up her baby shower cupcakes at Reverie Bakeshop, a cute gluten free and vegan bakery, we stopped at Eatzis to pick up a pasta salad and tabbouleh salad, and Wal-Greens to buy some last minute supplies for the baby shower game Christina had chosen for her guests to play. 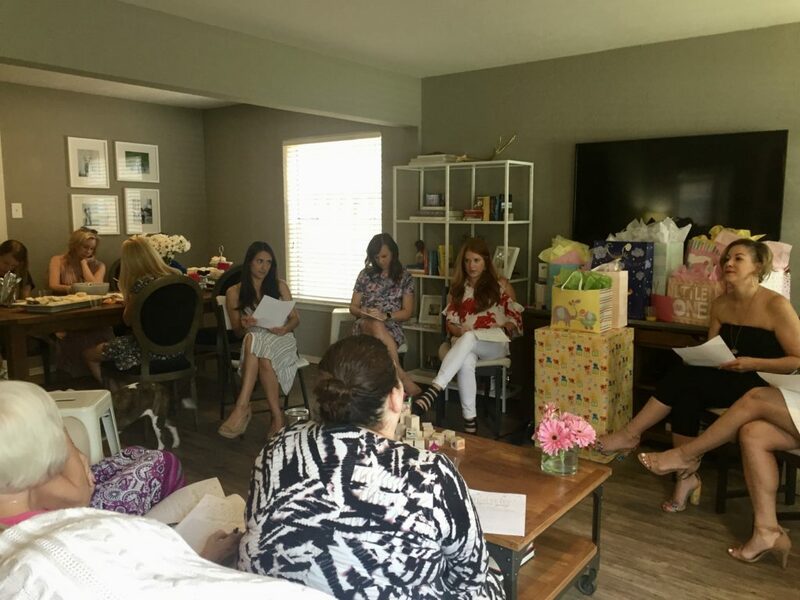 The rest of the morning flew by with baby shower preparations and getting ready. 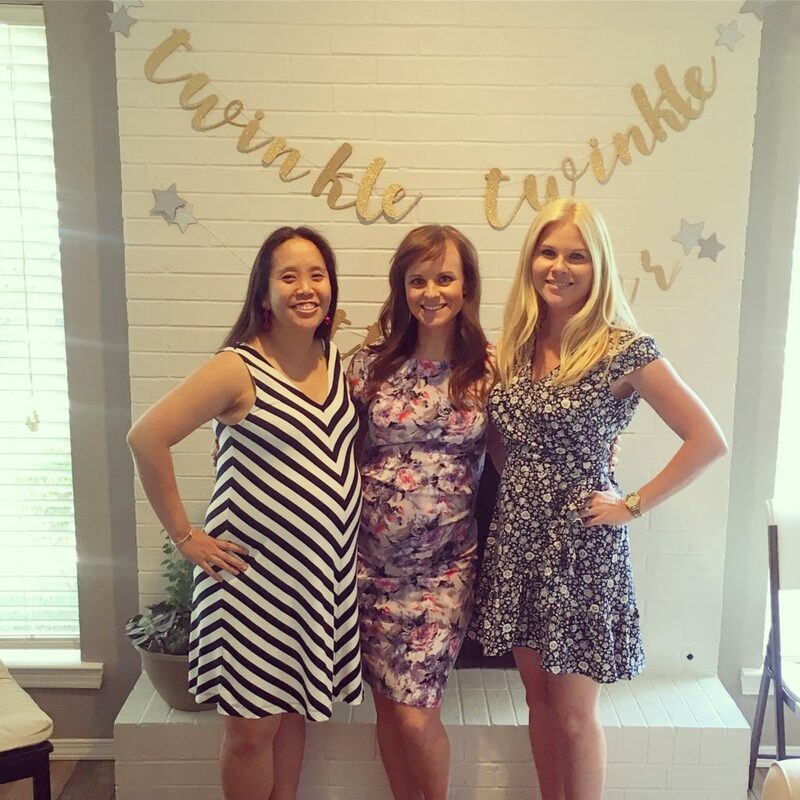 The theme of Christina’s Baby Shower was Twinkle Twinkle Little Star. 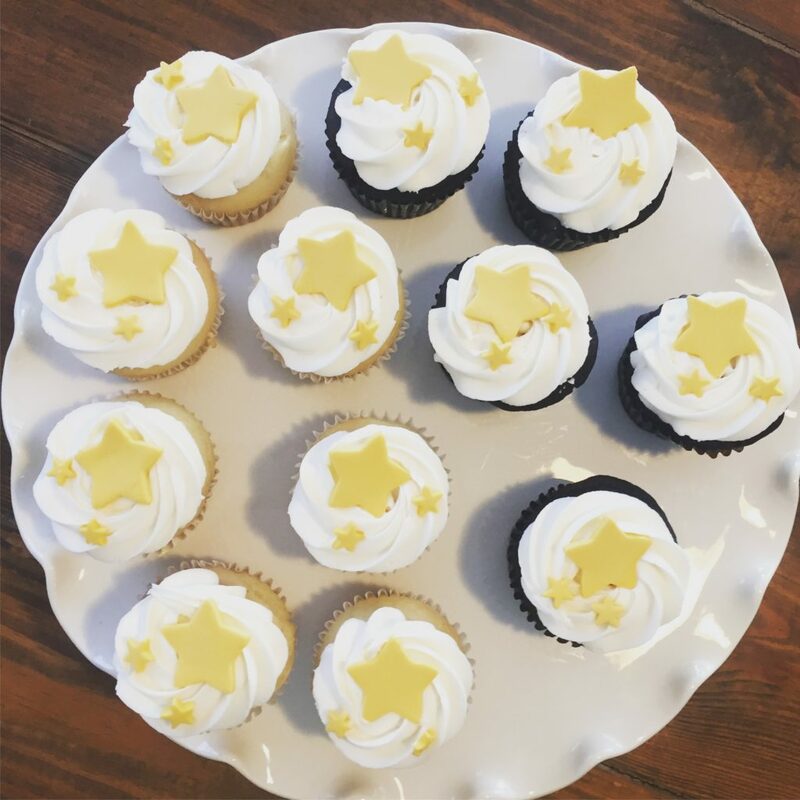 Twinkle Twinkle Little Star cupcakes! 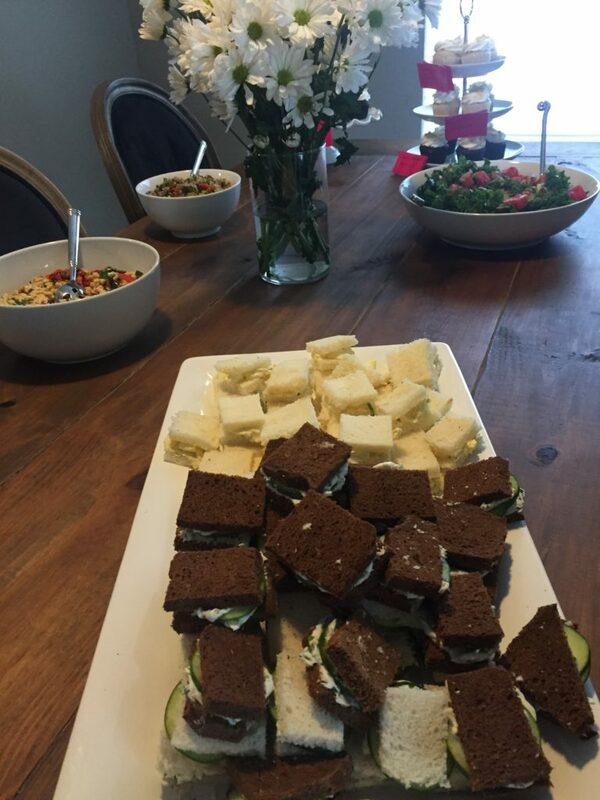 In addition to the cupcakes, the pasta salad and the tabbouleh salad, we also had a kale and watermelon salad, mini egg salad and cucumber sandwiches available for guests to eat. The shower activity Christina wanted to do was asking guests to decorate nursery blocks for Baby Landry (darling name right?!) 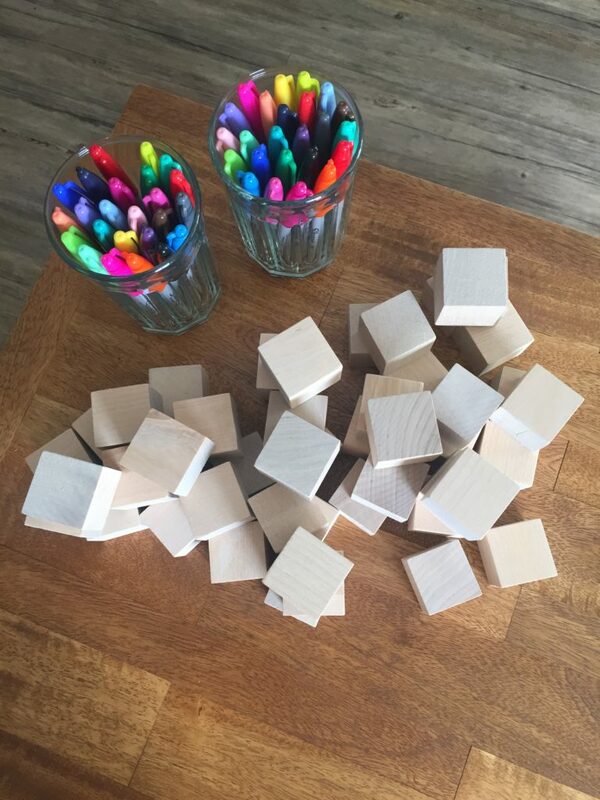 to play with when she was a little older. 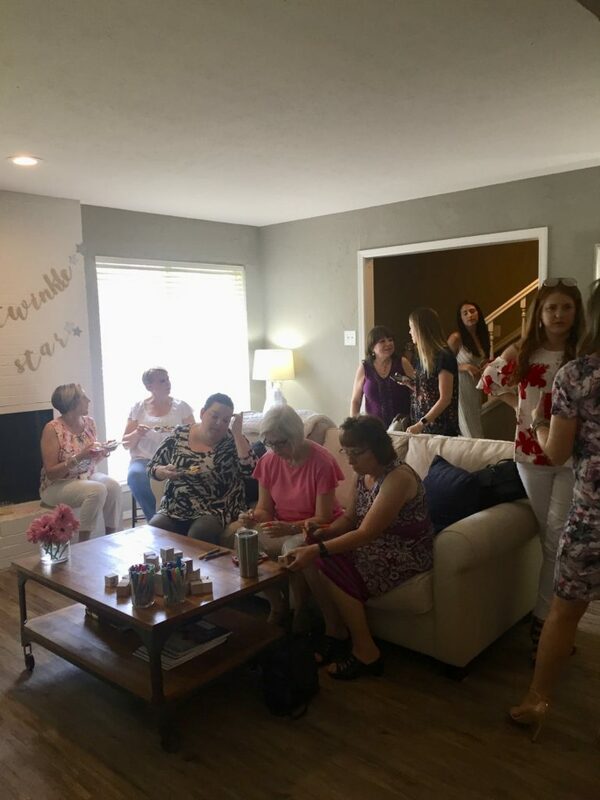 The game Christina wanted to play was actually something I had never heard of or seen played at a baby shower before, but I loved it and may even play it at my shower this coming weekend…It was a Nursery Rhyme Quiz. 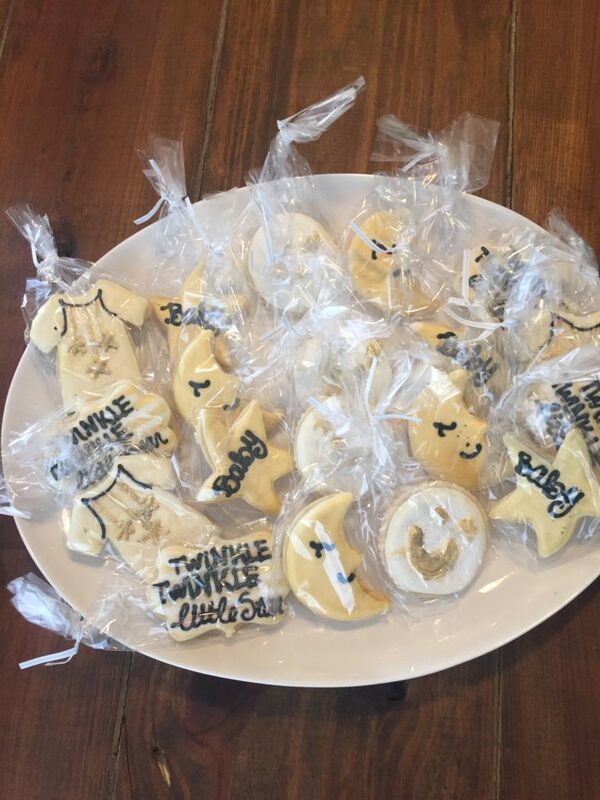 The shower favors were cute Twinkle Twinkle Little Star sugar cookies that were equally adorable and DELICIOUS. 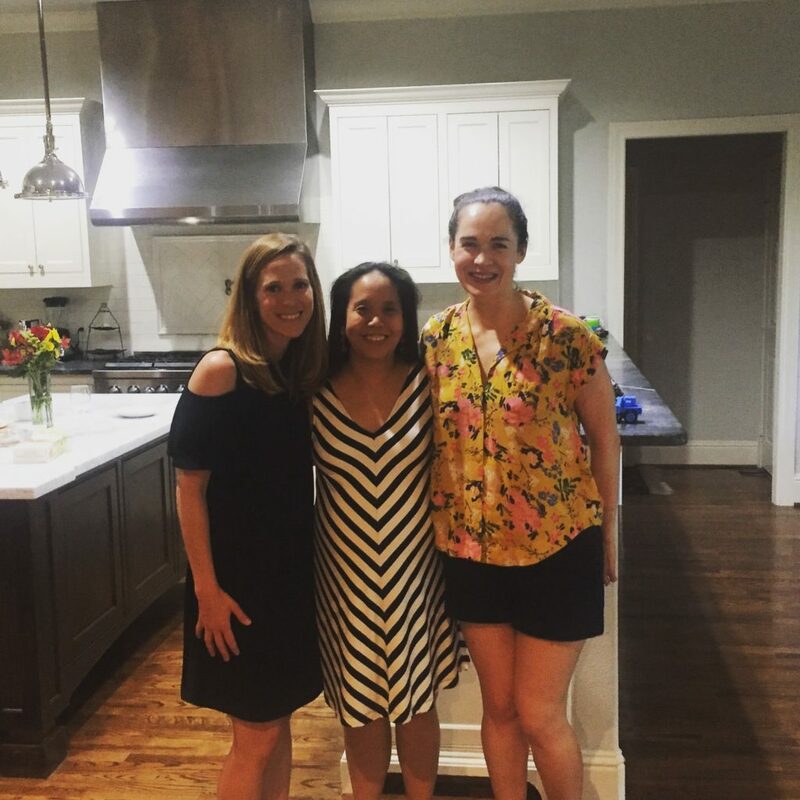 The hostesses with the Mama-to-Be! 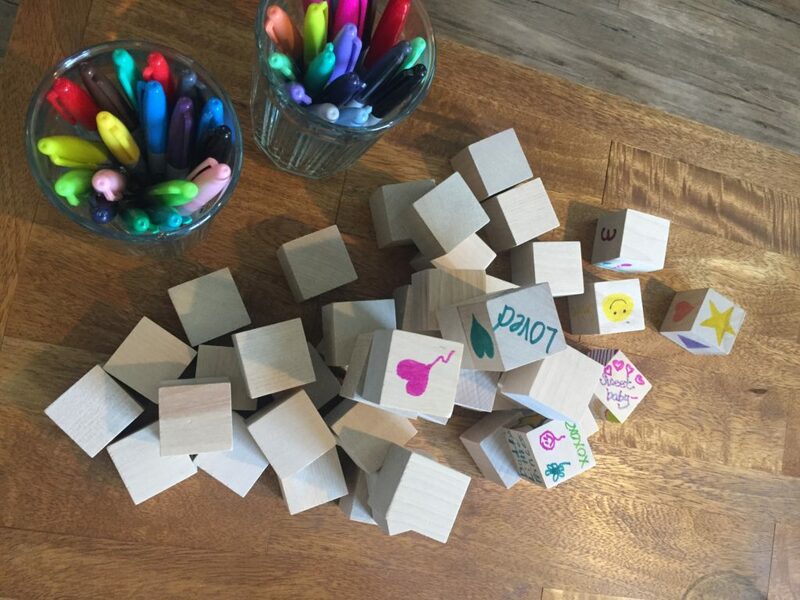 This was such a fun shower to plan and host. 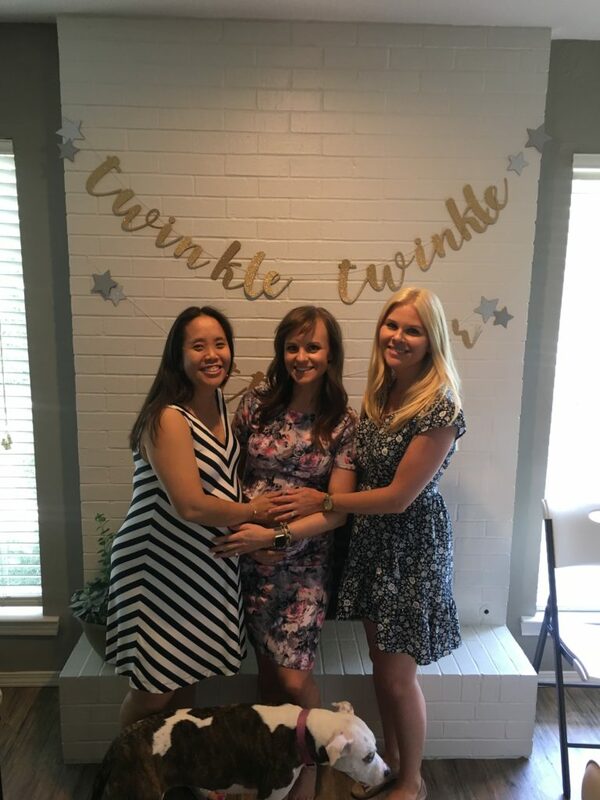 Christina, we can’t wait to meet your sweet baby girl! After the shower and everyone had left, Christina, Aaron, and I enjoyed some lounge time on their couch before I was heading over to my friend Katie’s house to have some girl time with Katie and our friend Elaine over wine and munchies. 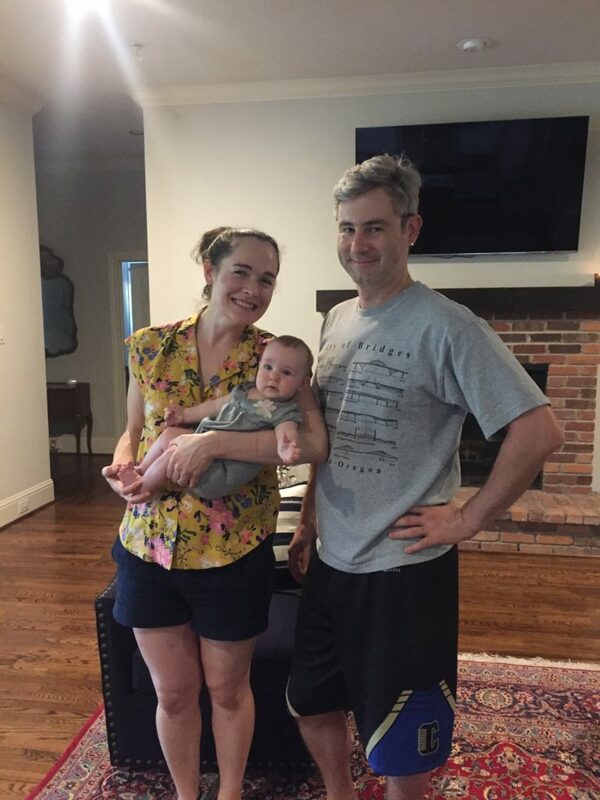 Elaine recently had a sweet baby girl of her own, Camille, who stopped by with her daddy, Ian too! I hadn’t met her yet, so I was so excited to get some cuddles in. I was also reunited with my pal (and Ava’s) James. Later that night, Katie and I met up with my friend Shelley for dinner at Jalisco Norte. And then we were later joined by my friends Nikki and Marek for a drink there before calling it a night. Sunday – sadly I didn’t take any photos of this day…. My Sunday began with a power walk along the Katy Trail with Christina and a coffee stop at Houndstooth. While our almond milk decaf lattes were good, both Christina and I had a bit of a sticker shock when we realized each latte cost $5.90. Oh well, it was a splurge! After our coffee stop, I quickly went back to get showered and changed because Katie and I were having some one-on-one time at brunch. 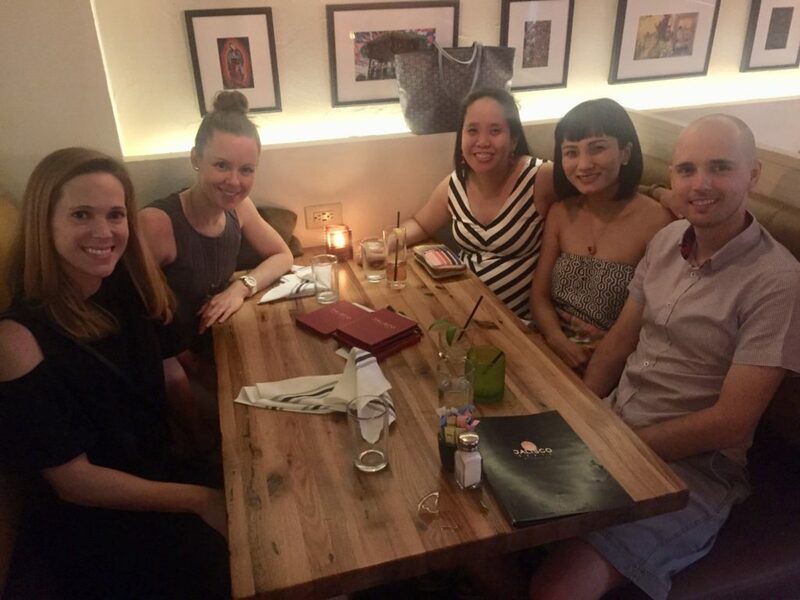 We had decided on Bistro 31 in Highland Park Village and it was all around lovely. I had another visit on the books that afternoon before I headed home and that was to spend some time with my aunts – Aunt Kim and Aunt Jackie over a late-lunch at Cafe Express. It was great catching up with them. 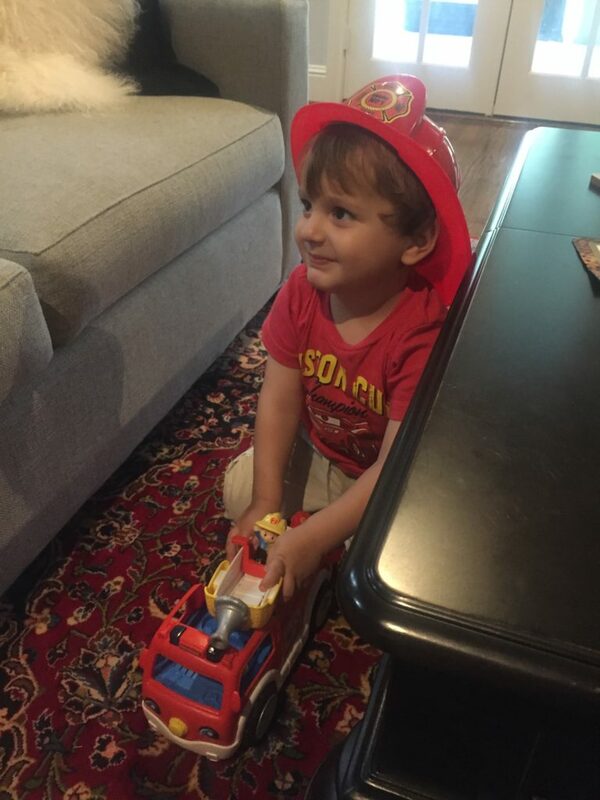 As always, my trips to Dallas are an absolute whirlwind, though it was nice that I left Sunday evening for this trip – I usually leave in the early afternoon on Sundays when I visit, so that did stretch my time out a little further. This Dallas trip will be my last “plane trip” before I have Luke and it was everything I hoped it would be. As always, thanks for a great time Big D!